Tuesday, September 25, 2012 is being labeled as National Voter Registration Day, so it is to no surprise that both the Obama and Romney campaigns are working diligently to get people registered to vote for the all-important presidential Election Day on November 6. But predictable liberals will cry foul at “voter suppression efforts” by Republicans who merely wish to expel corruption by attempting to enact non-partisan voter ID laws. The real battle of this presidential election will be decided by the independent voters- those who do not align themselves with either the Democratic or Republican parties and at the beginning of the year, roughly 40 percent of votersconsidered themselves to be independent. 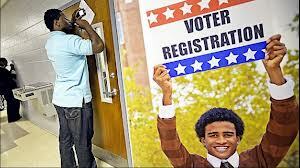 With both campaigns working overtime to persuade this heavy chunk of voters, the Left will use National Voter Registration Day to attempt to convince the public that Republicans want to suppress voters, in particular minorities and young people, by passing voter ID laws. MediaMatters.org recently published a piece that indicated that voter ID laws would prevent Hispanics and blacks from voting in Ohio, and that more than 750,000 people would face difficulty casting their ballot in the state of Pennsylvania. This is explicitly false. The state of Georgia, which had embraced voter ID legislation in 2005, actually experienced higher voter turnout among blacks from 2006-2010. Despite the liberals’ persistence in trying to convince voters that having an ID is suppressing the vote or that it is racial motive to keep minorities away from voting, roughly 70 percent of Americans support Voter ID laws. 52 percent of Democrats, 87 percent of Republicans and 72 percent of Independents deem this as a necessary resource to ensure that voting is a fraud-free activity that takes place during elections. The case for Voter ID transcends political allegiances and is harmonized among a confluence of concerns: voter integrity, protecting the right to vote, and advocating the practice of voting. Despite the polarization by liberals on this issue, Catherine Englebrecht, founder of True The Vote, a nonpartisan network of activists searching to bring awareness of voter fraud, vocalizes the urgency to see how imperative this is. “It is not about party or politics; it is about principle,” said Englebrecht. Anita Moncrief, the whistleblower for ACORN in 2008, revealed how the corrupt organization and its liberal allies registered more than seven million unmatched voters for Barack Obama, and how groups like Project Vote, violated the 501 (c) (3) agreement by taking private government grants and allocating the funds to ACORN. There needs to come an end to the frivolous distractions concerning voter ID laws; distractions such as the young and minorities are not competent enough to obtain a photo ID to vote, or that somehow individuals would somehow view the voter requirements as a means to divert their attention away from the crucial and demanding issues that we currently encounter. Voter Registration Day should be a time when people are getting ready for arguably the most important election in our century. In Virginia where I currently reside, more than 5 million individuals are registered to vote in the commonwealth, which was carried by Barack Obama in 2008 with nearly 53 percent of the vote, but with 2 million votes cast. The influx in votes would be a test to see if voters are satisfied with Obama’s current performance or if many are ready to see a new occupant in the Oval Office on November 6. I think a bigger issue of the Voter ID debate is the fact that so many people don’t have them. Why? Why is it that 1/4 African Americans do not have a state issued ID? This is crazy and irresponsible. In my opinion, voter ID laws make sense.